Get your Egoscue anywhere exercises at www.egoscue.com/PCLL. Check out the website at www.egoscue.com. History:The Egoscue Method was created by Pete Egoscue through his efforts to find solutions for his own chronic pain. After returning from Vietnam with a Purple Heart and ongoing nerve pain due to wounds suffered in battle Pete was conditioned to rely on medical experts, but they focused on his symptoms and were unable to help him. 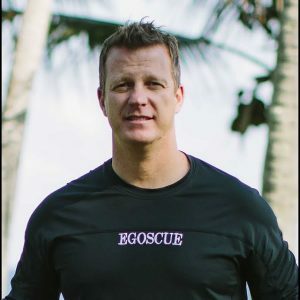 So Pete began his search for a way to live pain-free, finding the true cause of his symptoms—his posture and balance.Clinical uses: What is the Egoscue Method? How is it performed? When is it used and when would someone seek out a practitioner? What are some of the issues that people seek out an Egoscue trainer?Comparative Uniqueness: How does the Egoscue Method differ or compare with some of the other mind/body postural exercise systems such as Pilates, Alexander Technique, Feldenkrais, Gyrotonic, even Yoga or Qi Gong, etc. ?Sports performance: Any applications here? Are your trainers working with elite athletes? Cognitive performance: Any applications here? Are your trainers working with peak performers in areas where the goal is exceptional cognitive performance? Safety: Any concerns about safety when practicing The Egoscue Method? Research: There is some research on The Egoscue Method and positive influence on patients with CTE that has come out recently. Can you elaborate on that? Is there any other interesting research that you’re particularly excited about?